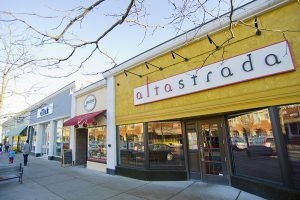 For those of you who love a little cosmopolitan flair to your suburb, you will find everything your heart desires in the prestigious town of Wellesley. Chic restaurants with famous chefs abound around town and the center offers shopping for a variety of styles and tastes. The homes and neighborhoods here are simply gorgeous. Wellesley is 14 miles west of Boston and it´s just a quick hop onto the major thoroughfares of Routes 9, 128 and I-90. Amazingly convenient, there are three MBTA commuter rail stops in town and they all offer parking. They are Wellesley Square, Wellesley Hills and Wellesley Farms. Wellesley is on the route of the world-famous Boston Marathon and the town turns out on Patriots Day to cheer the runners. Runners from around the world look forward to the chorus of well wishes shouted in their direction from the students of Wellesley College. Apart from the lively dining and shopping scene, Wellesley is an absolute haven for nature enthusiasts. There are 25 miles of marked trails in town that make for many peaceful afternoon strolls. Guided walks are offered in the spring and fall. There are also tennis, beaches and a host of other outdoor activities for residents to enjoy including summer concerts and outdoor movie nights. Art lovers will find a new favorite spot with the Davis Museum and Cultural Center, one of the oldest fine arts museums in the state. Wellesley’s public education system is another one of the state’s best, offering seven elementary schools, a middle school and high school. Along with Wellesley College, a higher education is also offered at Babson College. There are also many renowned private schools in town, including Dana Hall. 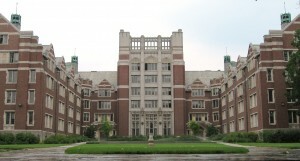 The average SAT score for Wellesley High School students is 1,224. View the Wellesley Public Schools for more information or click on the links below to learn more about each school. Need help setting up utilities service for your new home? I have put together some useful numbers and information for Wellesley Utilities. If you have more questions about Wellesley, or about any of the surrounding towns, please call anytime. I look forward to hearing from you!